Lump sum alimony, which is also called alimony in solido, is often awarded to a spouse to compensate for uneven property distribution. 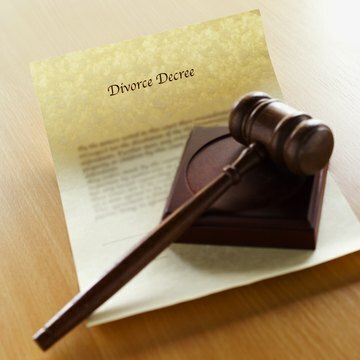 It is a form of long-term support and set by the divorce decree. It may be awarded when certain marital assets cannot be physically divided or if a spouse prefers to retain ownership of an asset and pay the award instead. The court will calculate the total amount of the lump sum award; however, the court may permit the owing spouse to pay the amount in installments, if necessary. For shorter term marriages, a Tennessee court may award rehabilitative alimony. Rehabilitative alimony is designed to provide financial support to a spouse who may need education or training before reentering the workforce. For example, if the wife did not complete college because she had a child or got a job to help her husband pay for his education, the court may award rehabilitative alimony to enable her to complete her education. Transitional alimony may be awarded when a Tennessee court finds that a spouse is not eligible for rehabilitative alimony, but the spouse still needs assistance for a short time to adjust to the "economic consequences" of divorce. It is designed to provide temporary financial support to a spouse who can be self-supporting but who needs time to get accustomed to a single-income household. When there is a major disproportion in the value of the spouses' assets (when one spouse owns significant separate property or will continue to earn more money), the court may award alimony in futuro. Also called periodic alimony, this type of award is long-term and generally lasts until a spouse's death. Alimony in futuro is generally awarded after a long marriage, at least 20 years in duration, when it is unlikely that the receiving spouse will be able to maintain employment and become self-supporting. Tennessee courts must consider a list of factors when determining the amount and duration of an alimony award. The most important factors are the receiving spouse's financial need and the owing spouse's ability to pay while still meeting his own needs. Other factors considered include the spouses' age and health, length of the marriage, value of each spouse's assets after the division of property, ability of the receiving spouse to maintain employment and become self-supporting, and the fault of either spouse in ending the marriage, such as in abandonment, abuse or adultery, for example. If the alimony order permits modification, either spouse can request it. The court will modify the order if the requesting spouse demonstrates a "material change in circumstances." This usually includes an increase or decrease in either spouse's income, but this has also been expanded to include the receiving spouse living with and receiving support from another person -- regardless of gender. An alimony order will generally terminate on the date set by the court. However, early termination occurs when either spouse dies or if the spouse receiving alimony remarries. When married couples make the difficult decision to get divorced, the issue of spousal support can become quite contentious. It's important to understand what factors judges look at when determining whether to grant support and to what extent. Ohio law provides for two types of spousal support, temporary and permanent, which can vary based on the length of the marriage. In some circumstances, an order for support can be modified or even terminated by petitioning the court.